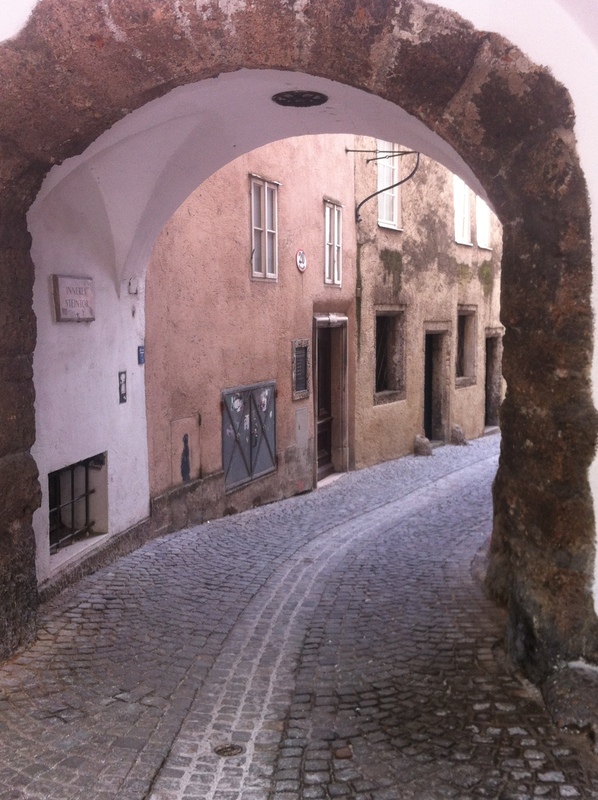 On my only morning in Salzburg, I spent an hour walking up and down dark back alleys in search of those weird, hidden USBs that are supposed to be all over the world. I’m not really sure why I did this, since my laptop is broken and keeps shutting itself down like an emotional teenager, but I did. I thought it might be cool to at least find one, but I found neither. Instead, I aroused suspicion by walking slowly and occasionally stopping to stare at walls that were not impressive enough to pass as marvel-worthy architecture. 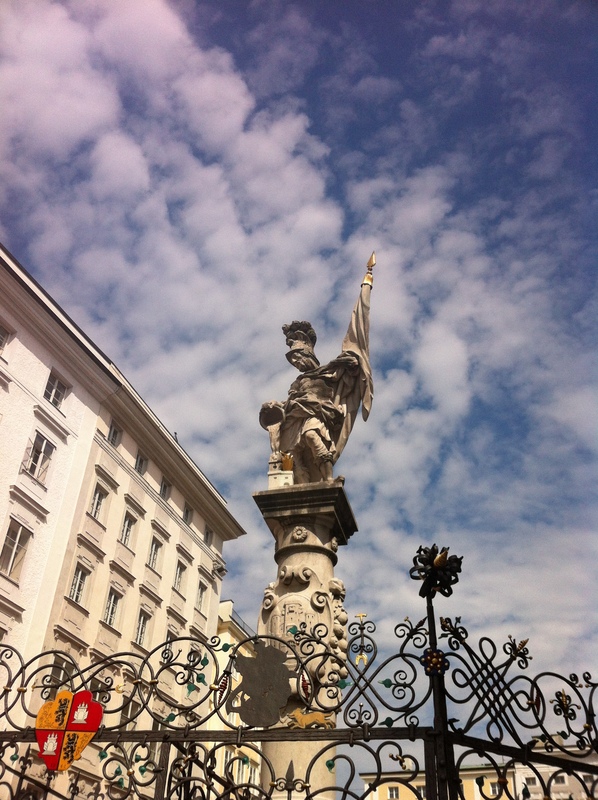 In any case, it was a different way to see Salzburg. Returning to my hotel, I ducked out the back to explore Old Town. 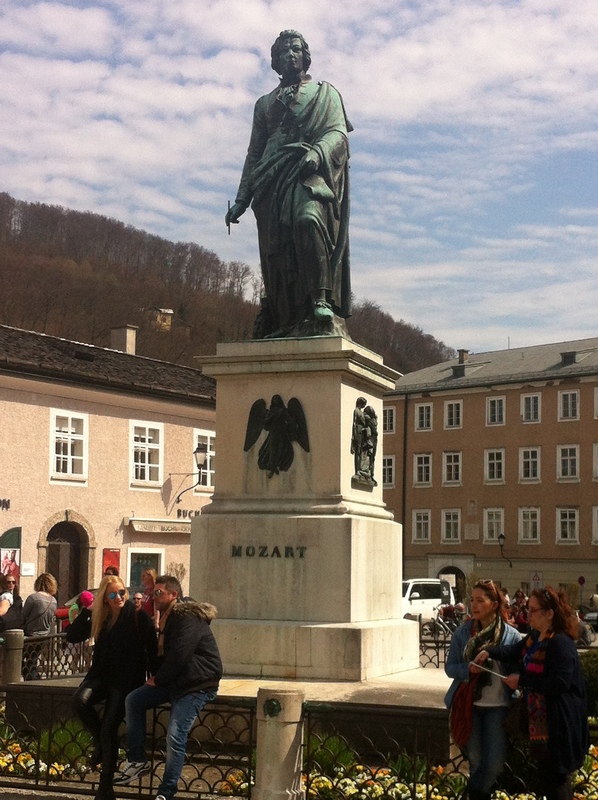 Mozartplatz is a bit small, tucked off from a much larger Residenzplatz, with low roofs and a statue of Mozart looking accomplished. Satisfied, I settled at a cafe with a rather curious choice of music – Maroon 5, followed by Eye of the Tiger. A troop of uniformed men passed by, wheeling a canon behind them. It did not go off, so I can only assume it’s some kind of strange tradition for Austrian men to wheel cannons around town for no particular reason. My search for the USBs brought me here. 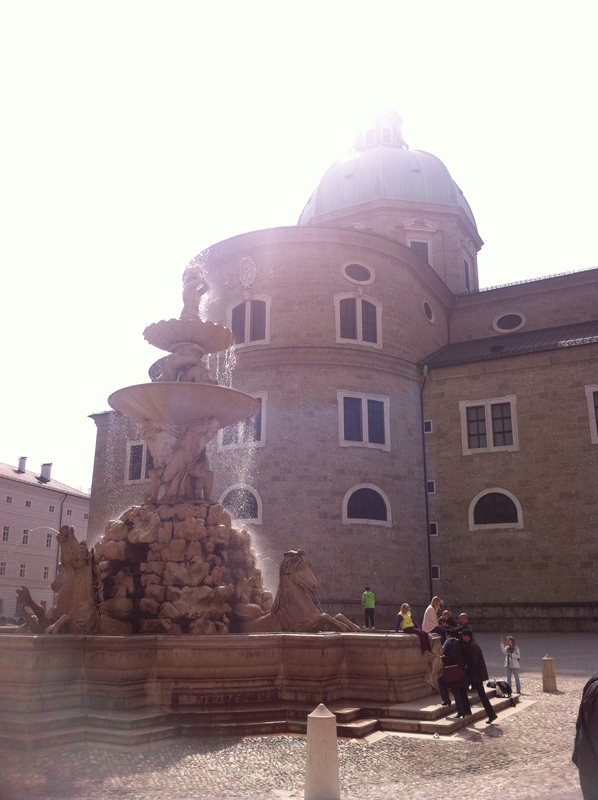 Salzburg is a lovely place to see spring. It’s a wonder it still exists in the world. The trees are in blossom, flowers adorn the river banks, and there’s a pleasantly balmy breeze. It’s the kind of place where you can sit at a cafe and sip your cappuccino and not think about anything except for the fact that you are there. In your moment. It was with reluctance that I left Salzburg for Vienna, but I had a party to go to, and three hours of Austrian countryside to see on the way. The weather and the scenery sound ideal! I haven’t heard the hiddens USBs in the world. How did this get started and when you find one, what is usually on it? Thanks in advance for enlightening me! I’m not sure what’s actually on them…I’ve heard people put photographs, artwork, poetry, essays…if you Google “hidden USBs” you can usually find it. And there’s another site called Dead Drop (I think) that actually pins them on a map. I wonder if there are any in Canada!